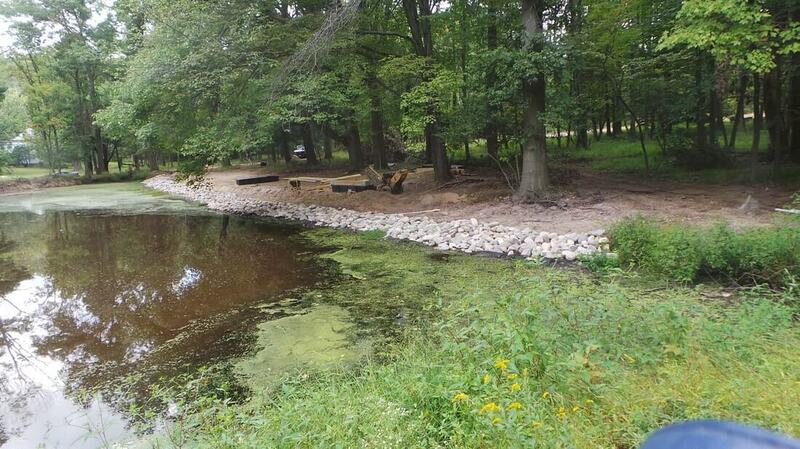 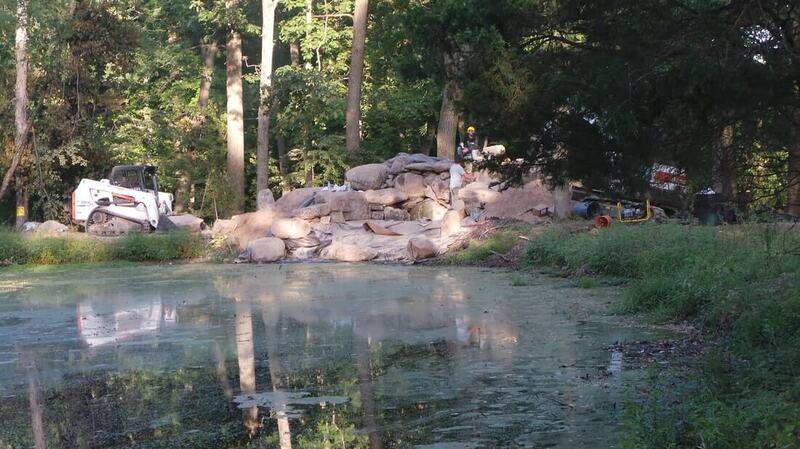 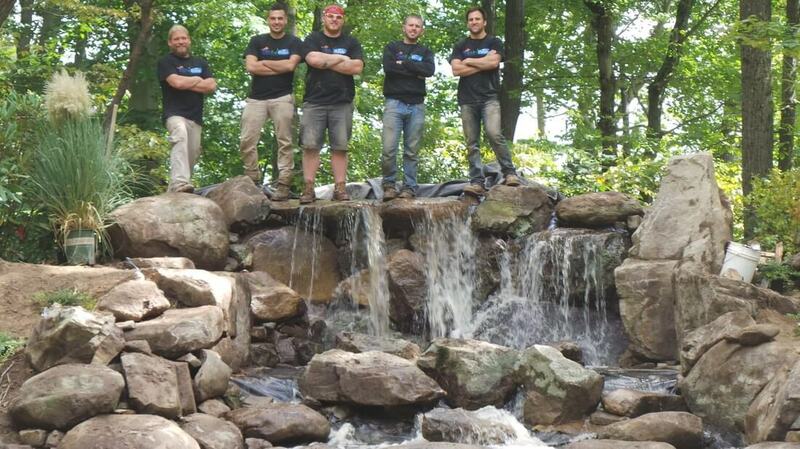 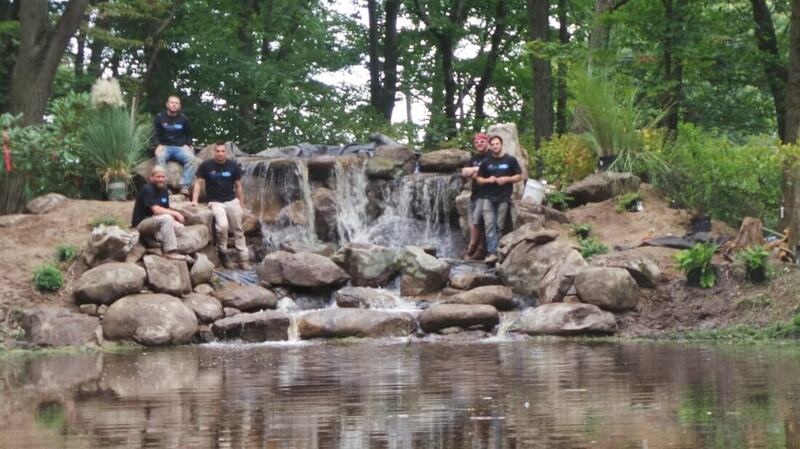 Standing over 10 feet tall, this is one of the largest waterfalls Fitz’s Fish Ponds has built so far. 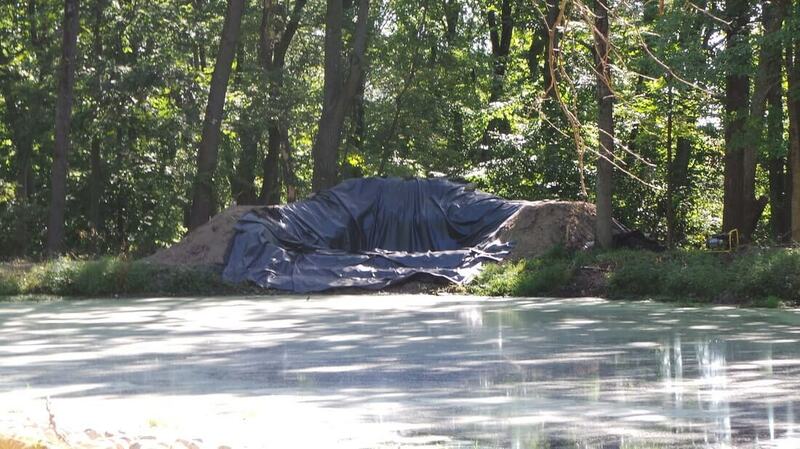 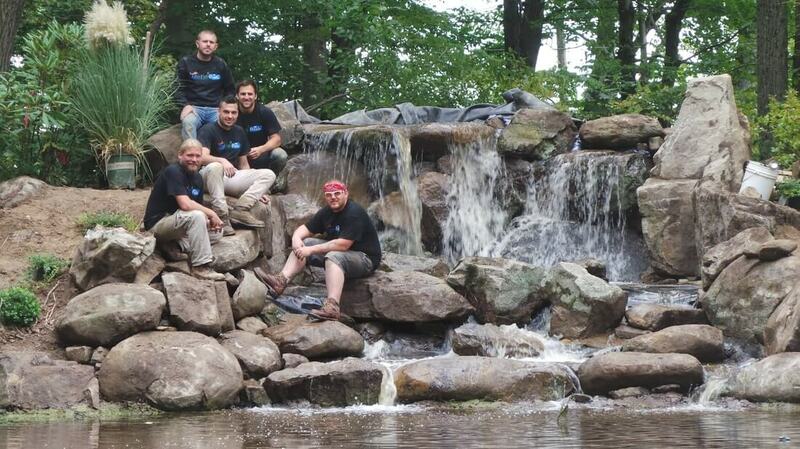 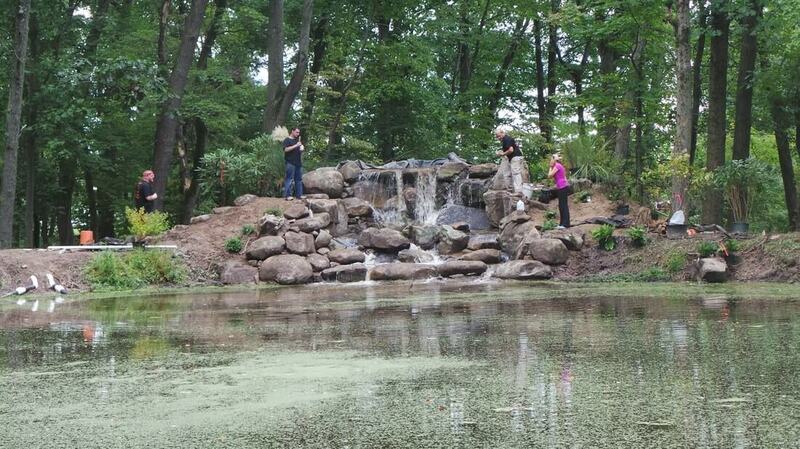 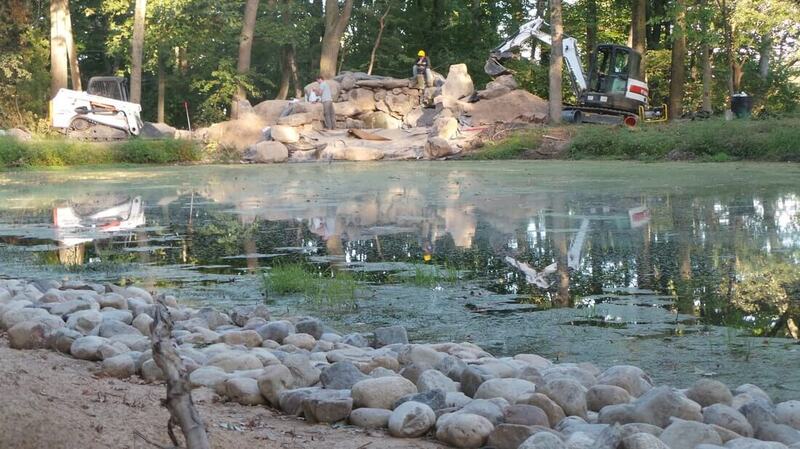 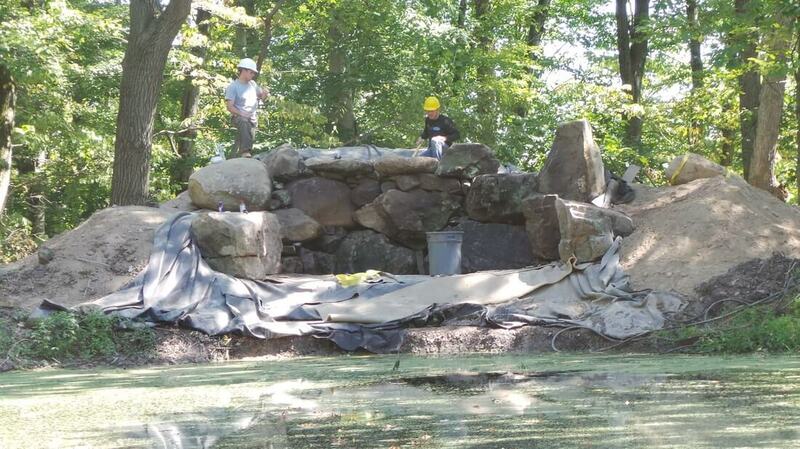 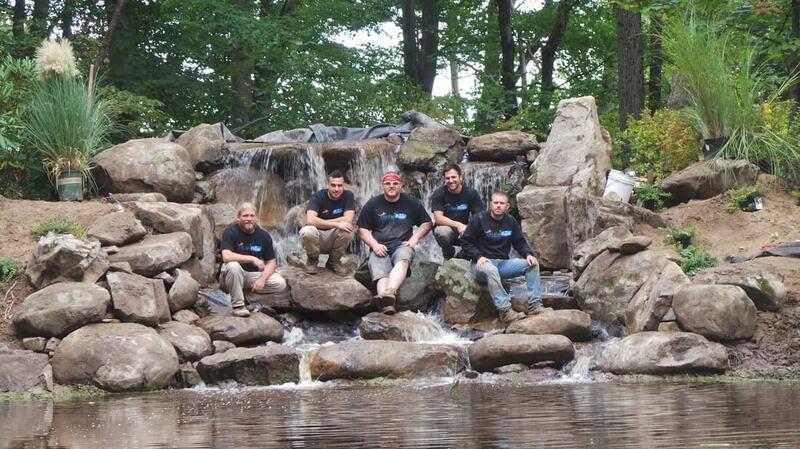 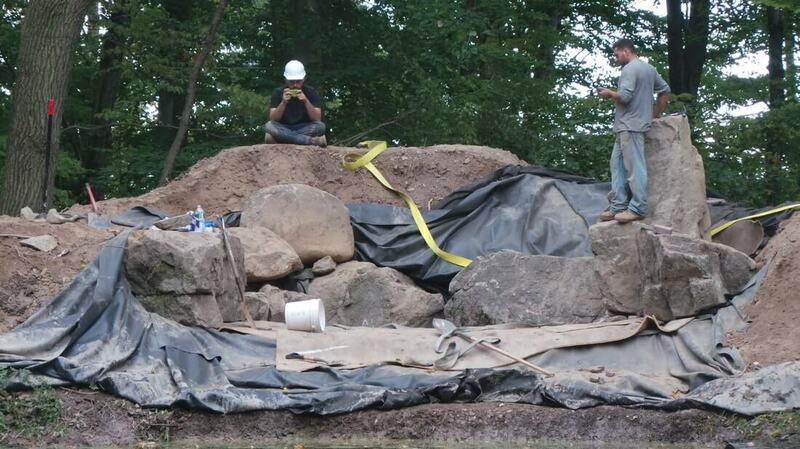 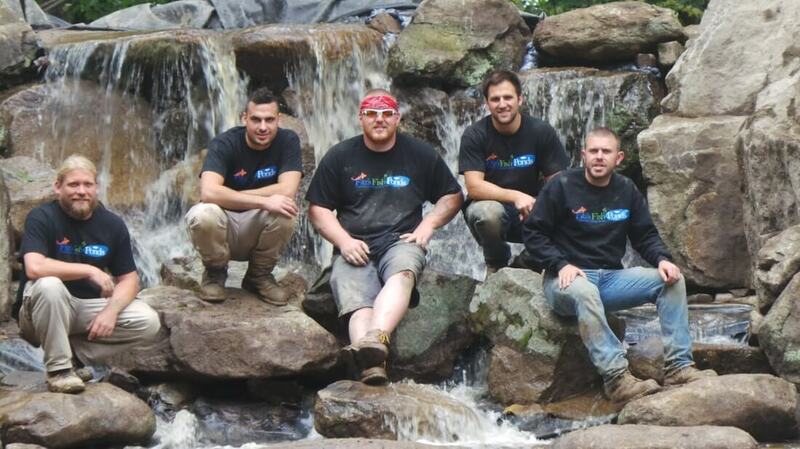 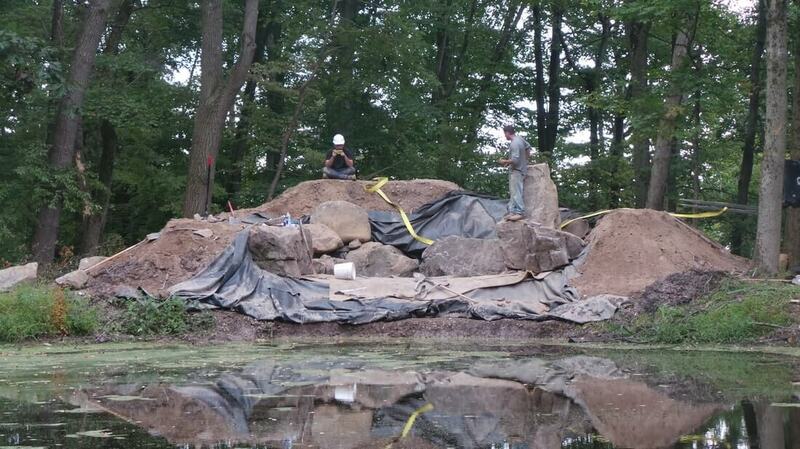 Sitting on the edge of a huge natural pond, the waterfall needed to be scaled up to match. 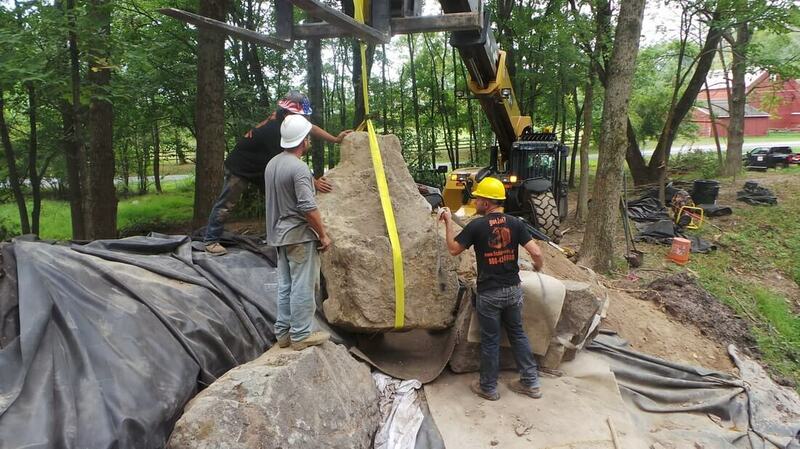 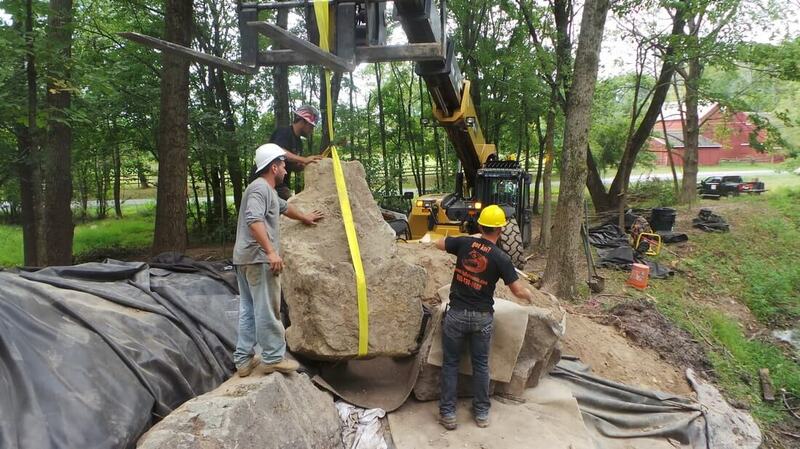 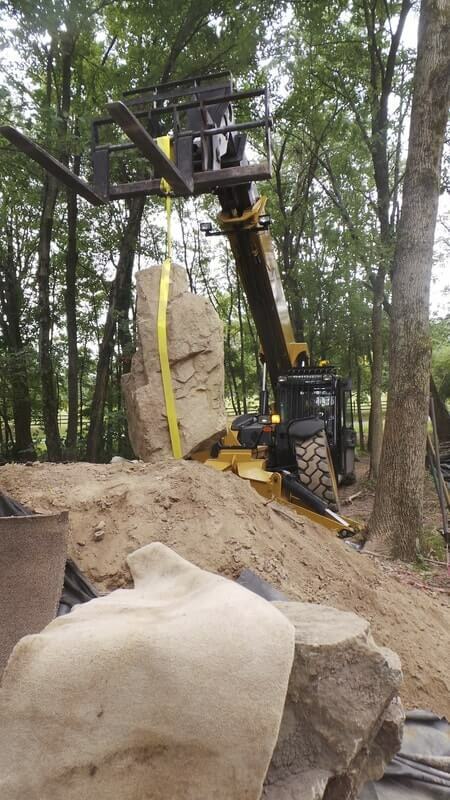 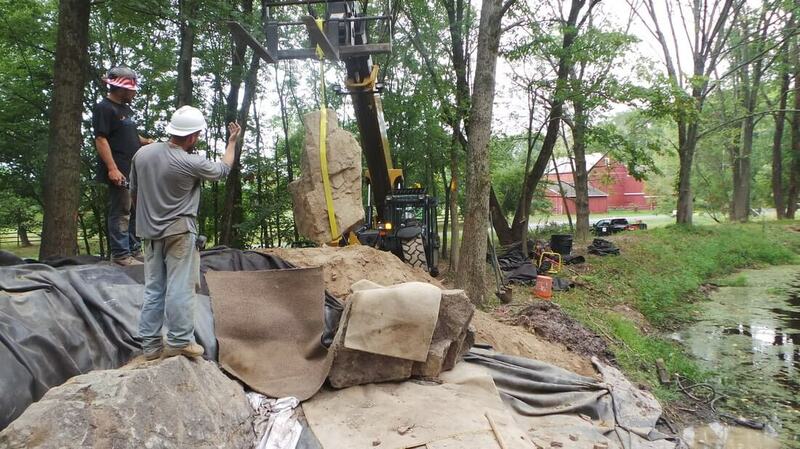 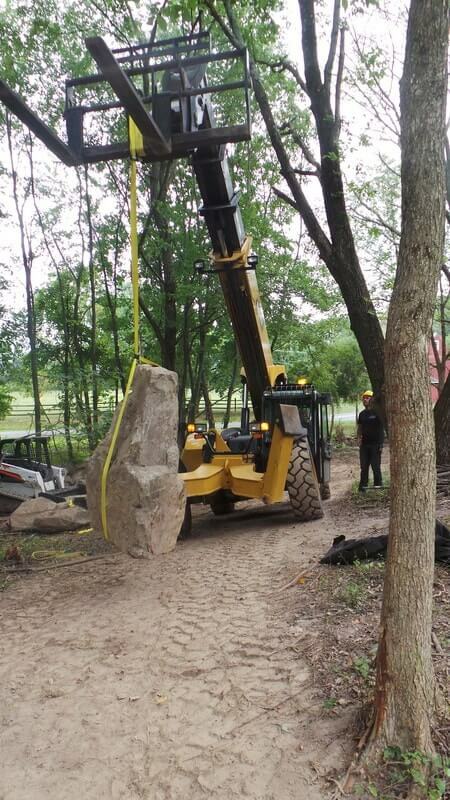 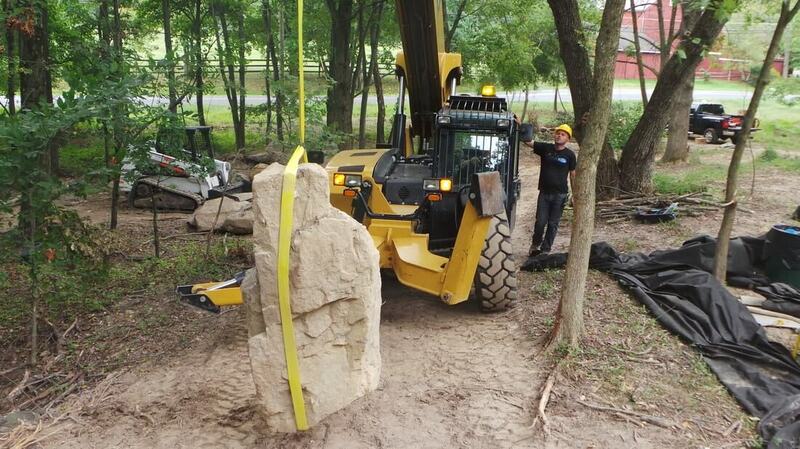 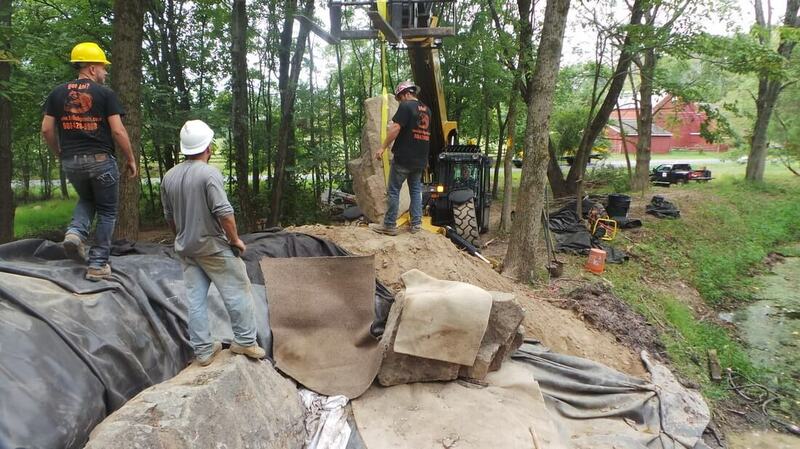 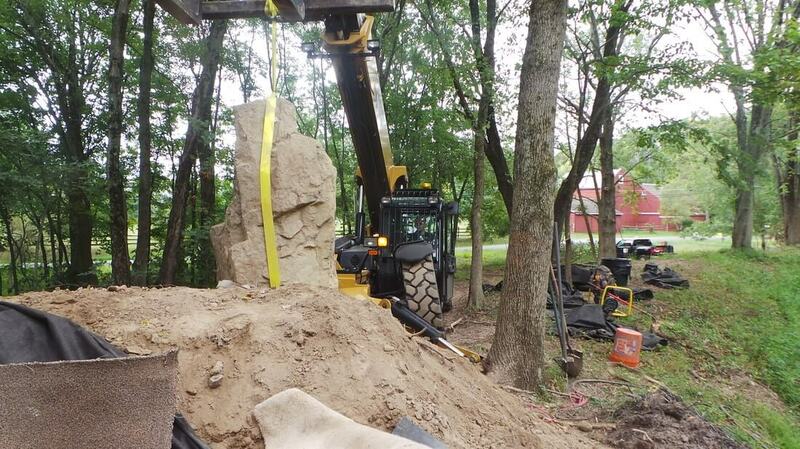 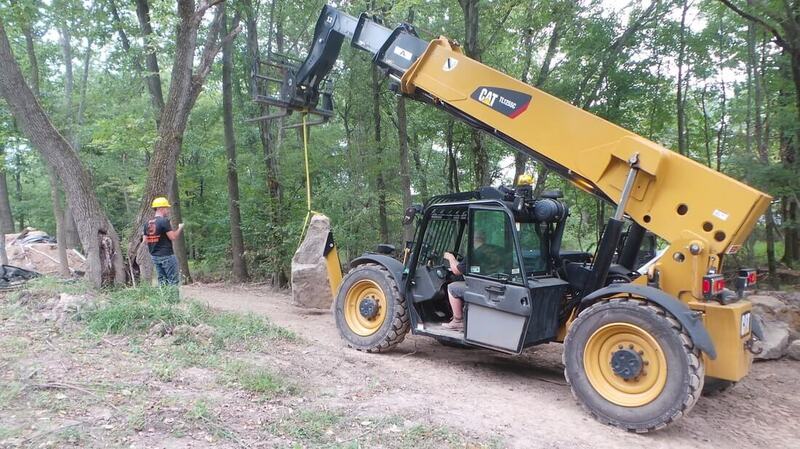 Huge boulders were lifted in with an equally huge machine. 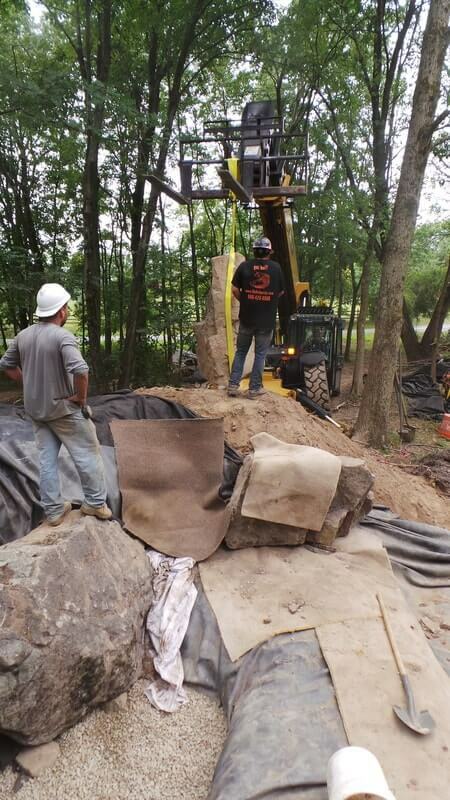 Fitting the oversized theme of the project, two massive external pumps push around 20,000 gallons per hour over the falls.